OWN has something new in store. Today, the network announced they’ve ordered two new TV shows from Will Packer, Ambitions and Ready to Love. Los Angeles – OWN announced today two new series from prolific hit-maker Will Packer (“Girls Trip,” “Straight Outta Compton,” “Ride Along,” “Roots”) and his Will Packer Media banner: the soapy new drama series “Ambitions” from global content leader Lionsgate and the unscripted dating series “Ready to Love.” Packer will serve as executive producer for both series. The new shows mark the first television series to be created under Packer’s first-look deal with the network. The announcement comes as OWN’s momentum and diversified programming slate continues to grow. The network recently delivered its highest rated first quarter in four years in the network’s key W25-54 demo with year-over-year gains of +6% in W25-54, +15% in African American women and +5% in total viewers. 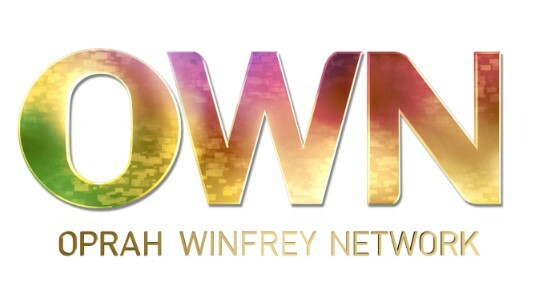 In addition, year-to-date OWN is the #1 cable network for African American women in primetime. “Ambitions” (working title) is a multigenerational family saga centered around one woman who, having recently relocated and intent on revitalizing her marriage, finds herself going head to head with some of the most powerful and deceitful players in the city. “Ambitions” will begin production later this year and will debut on OWN in 2019. The new series will be produced for OWN by Will Packer Media in association with Lionsgate/Debmar-Mercury. Will Packer is executive producer. Will Packer Media’s Sheila Ducksworth also serves as executive producer and writer Jamey Giddens serves as co-executive producer. “Ready to Love” (working title), which begins production in Atlanta this spring, will join OWN’s popular Saturday night unscripted programming lineup later this year. The dating series will focus on successful men and women of all shapes, sizes and shades, each of whom is looking for lasting love. A unique twist on a typical dating show, “Ready to Love” will specifically bring the perspective of men to the forefront. It will present a unique opportunity to see what men say about dating, when women aren’t around. “Ready to Love” will be produced by Will Packer Media and Lighthearted Entertainment. Will Packer is executive producer. Will Packer Media’s Kelly Smith and Lighthearted’s Rob LaPlante and Jeff Spangler will also executive produce. What do you think? Do you watch OWN? Would you watch Ready to Love and/or Ambitions? More about: Ambitions, Ambitions: canceled or renewed?, OWN TV shows: canceled or renewed?, Ready to Love, Ready to Love: canceled or renewed?